Have you ever heard the song “The Daring Young Man on the Flying Trapeze”? It says, “He’d fly through the air with the greatest of ease, that daring young man on the flying trapeze.” Why is the man simultaneously bold and filled with ease? Because letting go of the trapeze bar appears to defy both logic and instinct. To release his grip is to lose his sense of security. He flies with ease, however, because even as one bar sails away from him, that second bar is swinging toward his open palms. Of course, the daring young man has done this before. He knows what to expect and precisely how he intends the scene to end. But in life, change doesn’t work like a well-rehearsed circus act. When I experience change, I’m not the daring young man at the circus. I’m the third-grade boy who jumps off the playground swing at the highest point of its arc. Letting go without any clear sense of control is unnerving. on the senior leadership team. I felt blindsided and disoriented. There was a string of sleepless nights. I lost my appetite, my bearings, and my confidence. I couldn’t see around the bend—I didn’t know how we got here, what it all meant, or where it would lead. All I could do was lean in to my regular spiritual practices of Scripture reading and reflection, journaling, and prayer. In that season I read chapter by chapter through the book of Acts. Then I found some insight on navigating change in the life of Paul. There are a handful of storm stories in Scripture. Preachers and Sunday-school teachers love the one about the disciples in the boat on the Sea of Galilee when the waves are crashing over the tiny fishing vessel while Jesus sleeps. Then Jesus calms the wind and the waves. There’s no loss of life or property. It all ends well. Then there’s Jonah. His disobedience leads to a storm, but when he confesses his sin, the crew of pagan sailors throws him overboard and the crisis subsides. The crew is spared, and Jonah eventually makes it back to dry land—happy endings all around. But Paul’s story is different, and we often overlook his storm in Acts 27. After being arrested and accused of crimes he didn’t commit, Paul exercises his nuclear option as a Roman citizen. He appeals to Caesar. Julius, a Roman centurion, is tasked with getting Paul and other prisoners from Caesarea, on the west coast of Israel, across the Mediterranean to Rome. After sailing to the southern coast of Turkey, the group changes ships. Once they are underway again, they encounter some challenging weather. Paul warns them not to press on, but Julius and the ship’s captain ignore his advice. Soon after their fateful decision, they are caught in hurricane-force winds. Unlike the other storms in Scripture, this is a sustained event. The crew responds with increasing alarm. First, they pass ropes beneath the ship to try to keep it from breaking apart. The next day, they give up on making money and shift their focus to saving their lives, and they toss all the cargo overboard. On the third day, they jettison the tackle. But the storm is relentless. After many days in terrifying darkness, everyone onboard finally acknowledges that they are going to die. William Bridges, author of the bestselling book Managing Transitions, contends that every change has three seasons: an ending, a neutral zone, and a new beginning. Endings, he says, are typically marked with all the emotions we associate with grief: anger, sadness, denial, fear, resentment, and anxiety. Once the loss is acknowledged and embraced, we tend to move into the neutral zone, a space that is often disorienting and confusing but also a place where we may experience curiosity and anticipation. Eventually we arrive at the new beginning, where we begin to feel confident, energized, and renewed. I think Paul intuitively grasps a version of this model. This is what he tells the crew and passengers, who after going a long time without food are resigned to their own death: “Men, you should have taken my advice not to sail from Crete; then you would have spared yourselves this damage and loss. But now I urge you to keep up your courage, because not one of you will be lost; only the ship will be destroyed. Last night an angel of the God to whom I belong and whom I serve stood beside me and said, ‘Do not be afraid, Paul. You must stand trial before Caesar; and God has graciously given you the lives of all who sail with you.’ So keep up your courage, men, for I have faith in God that it will happen just as he told me. Nevertheless, we must run aground on some island” (Acts 27:21-26, NIV). Paul doesn’t gloat about being right. He doesn’t blame anyone for their current predicament. But he asks the decision makers to listen to him this time—because now the stakes are higher. Paul seems to have an unfair advantage here—direct communication from God about how events will unfold. Everybody else on the boat is experiencing the seasons of transition. They go through denial, which we see in their extraordinary efforts to save the boat. “This isn’t happening,” they seem to say. Or, “This boat won’t sink. Not on our watch.” They reject the ending moment that’s right before them. Once they’re resigned to the pending shipwreck, they shift into the neutral zone moment of anticipation. Now that they know what won’t happen, they can pivot their mental energy toward what will. The first and often most difficult season of transition is saying good-bye to something we hold dear. Then there’s this line: “Keep up your courage, not one of you will be lost; only the ship will be destroyed.” In other words, the good news is nobody is going to die. The bad news is you’re going to lose your ship. It wasn’t a small ship. There were 276 people on board, including the owner, the pilot, and crew. This boat represented their livelihoods, their economic well-being, the place where they experience community. What constitutes our “ship” will, of course, vary from season to season. For some, it’s a specific iteration of career. It may be the right job at the right office with the right status and the ideal benefits. If any one of those variables begins to wobble, it can feel like the ship is taking on water. Sometimes the ship is a particular image of our family dynamics. Of course, when we lose someone we love, through death or divorce, the ship sinks. Other times the ship sinks when something that’s supposed to be good is happening. Not long ago I was doing some premarital counseling with a couple. They couldn’t figure out why the bride’s sister seemed increasingly hostile toward her future brother-in-law. One possibility we explored was that she might have been grieving, maybe even unconsciously, the end of the run where both sisters were single together. Maybe it wasn’t that she disliked the groom, but that she was mourning what he represents—the sinking of the family ship as she knew it. For some of us, the ship is where and how we worship. If the church I attend changes its leadership, style, or teaching, the ship that I know and love might sink. The challenge amid the heartache is, how do I feel about boarding a new church ship? Maybe this is why we love the other storm narratives in the Bible—all the other ships make it safely back to harbor. In my own season of transition I’ve learned that sometimes God (either actively or passively) destroys my ship. This idea is unnerving. The thought that God might dismantle my agenda, my expectations, my career, or even my church doesn’t sit well with a triumphant reading of Scripture. Both narratives can be appropriate in different ways in different seasons. But we’re all suckers for a good exodus story. It’s the equivalent of the summer blockbuster film everyone wants to see. Exile stories where our boat sinks and we endure significant loss and escape with maybe only our lives? Those movies languish in art-house theaters. They’re not appealing to the masses. “You’re going to lose the ship.” In my own season of transition, that truth hit me like an anvil in the chest. My ship was an idyllic expectation that the status quo would hold—that work and life would chug merrily along and my wife and I would retire in twenty years from the jobs we loved, live in the dream house that we had purchased only three ago, and that our four kids would have all graduated from the top-ranked local high school. In the end God wasn’t calling Paul to keep the boat intact. God called him to bring the gospel to every inch of terrain his feet touched. And that included the island of Malta—which had not been on Paul’s itinerary, but God used the storm to redirect him there. And people were healed of their diseases and a fledgling church took root. Eventually Paul arrived in Rome to do what he set out to do: declare Christ to the leaders of the empire. Transition can be terrifying. God doesn’t promise us a wrinkle-free journey. He promises to bring us to places to be hope and light to the world. God is with us in the storm—and in the aftermath. On the brink of disaster Paul pauses to acknowledge how and where God has been good to him. Yes, the raging storm is unresolved and unsettling. But God has provided bread. And that’s the grace I need for this moment, this day, this season. It is evidence that God knows my needs and actively works to meet them. In a striking act of communal leadership, Paul thanks God publicly and then takes the first bite, giving permission to his shipmates to do the same. We don’t have wait for the storm to subside to receive God’s compassion, and we can bless the bread right in its midst. 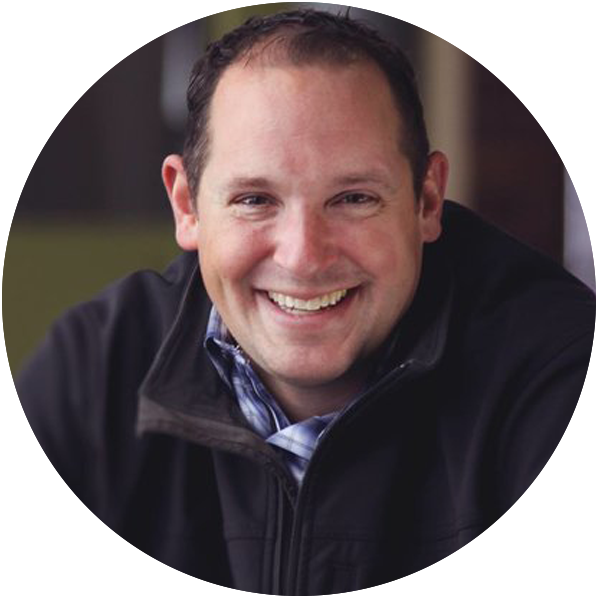 Steve Norman is the teaching pastor at Central Wesleyan Church in Holland, Michigan. He enjoys sushi, leading Holy Land tours, and short walks on the beach. He writes for stevejnorman.com. Steve, what a amazing day to receive this. I am a mom of 4 girls and boy storms are frequent. Read this with my 20 year old and we both told each other “boy, we needed to hear that”! Thank you. Steve, my family attends Kensington, and we were so sad to see you go. I also attended many of your “spin classes” at Lifetime way back when. It was so disappointing when you left, to say the least. I wish you and your family the best. I will pray for your family and for your ministry. You are an incredible pastor. Great article, Steve! I also experienced a painful ending at my last church a couple of years ago. While I’ve settled into a new normal, it still feels very much like I’m in transition. Thanks for these encouraging words! Great article, Steve! I, too, experienced a very painful exit from my church. That was two years ago. Then I settled into a new ministry, but that also ended after a couple of years (though less painfully than the first). Back in a season of transition, trusting that I’ll make it to shore soon. Thanks for this encouraging message. Just closed a church that has been there 35 years. We have been bi-vocational pastors there twice. First time for 6 years, gone for 5, then God took us back there for 5+ years. This writing is very timely for us right now. Steve, I felt somewhat the same sense of loss when doors of serving were slammed shut on me. We eventually left the church and found another place where God has seen fit to use us. I shared my grief with you at the time, but I think you now can understand better – having undergone something similar and with the same fellowship. God moves us, not like chess pieces but like pieces of prized China that is of great value to Him. Would that we could learn that earlier in our walk. As an interim minister I so appreciate the insights you’ve shared here. Perhaps you’d be willing to guest post this on my blog? This would be real blessing to those going through pastoral leadership transition. Shalom and thanks! Thanks so much Shari! You’re certainly welcome to use this. If I can assist in any way, please let me know. I’m so glad to see that you write. Since you aren’t at Kensington anymore, it gives us a chance to see you from a distance. This really helped me today, and makes me believe that I’m just beginning my “neutral zone” in my transition. Thanks! Steve, we were members at K church. We LOVED your messages and grieved your move. Obviously God had great plans for you. Know that the time we spent listening to your delivering God’s word was some of the most meaningful of my life. Thank you for your teaching. I love receiving snippets of your insight via your blog or articles like these. We are in the midst of our daughter’s divorce. It is a horrible storm for our family. Through this article, I can see hope and see God’s promises. Thank you! Karen- I’m sorry for what your daughter is going through. We’re praying for you today. So glad to read if your new walk with Christ. We, too, have found a new church home. Thank you for sharing part of your journey with us. Thanks for the encouragement Elizabeth!